MEP co-founders Barton and Benjamin Rubenstein met Chilean Minister of Environment Marcelo Mena and other officials to discuss placing Mother Earth in its capital city, Sanitiago. They also discussed the Parachutes For The Planet project. The city is very excited about these projects and will begin to reach out to over 1200 schools around the country to create parachutes for the upcoming Parachutes For The Planet exhibition in Washington, DC, on Earth Day, April 22, 2018. A special thanks to Roberto Brodsky, Cultural Attaché and others at the Chilean Embassy in Washington, DC, for their enthusiasm and assistance in arranging this meeting. 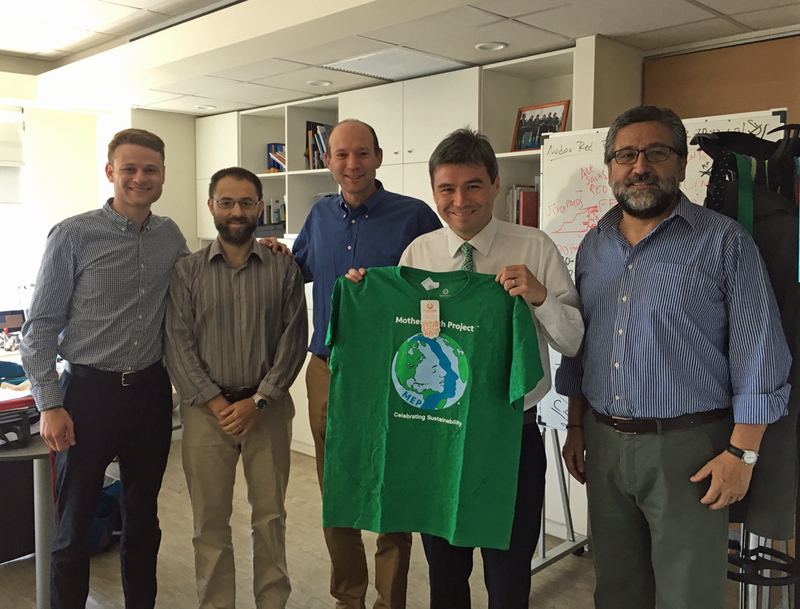 MEP thanks Chile for its focus on the environment!